La Lovely Vintage hand-picks only the finest products from all over this beautiful nation, bringing a little piece of American history to every wardrobe and home. All of our goods are sourced with the intention of providing our customers a unique and ethically curated shopping experience. Visit us at our stores in Denver, Colorado or check out our selection of fresh finds online by clicking here! Conveniently located in the heart of Denver's Baker District! Also conveniently located in the heart of Denver's RiNo District! Tara, the founder of La Lovely Vintage, has always been fascinated with design and an object’s ability to evoke sentimentality. 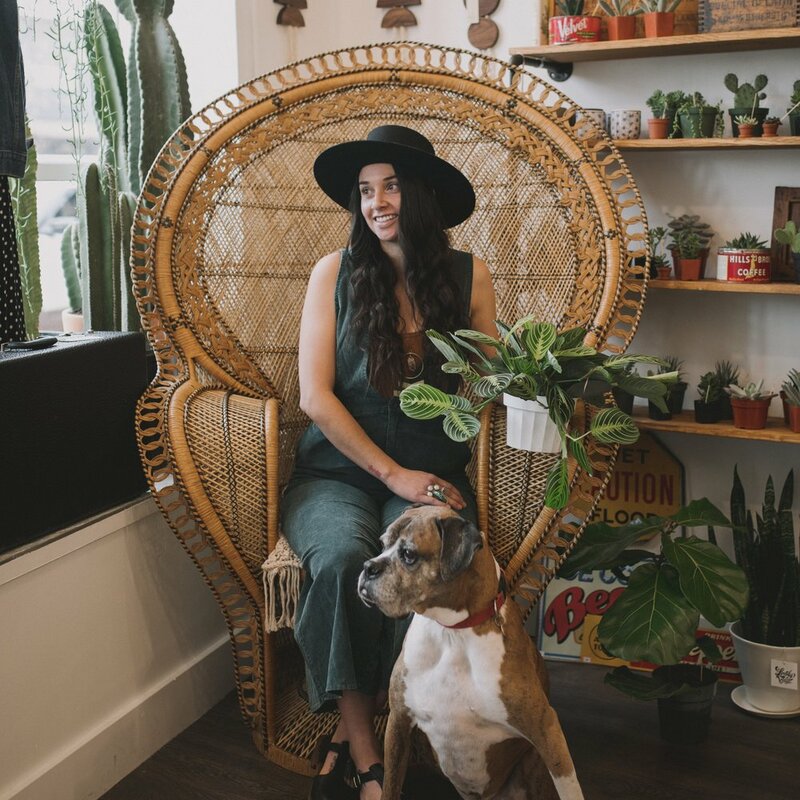 Tara applies her passion for quality, sustainability, and nostalgia of vintage products to every facet of the store and is grateful for the opportunity to share what makes her happiest with the community. 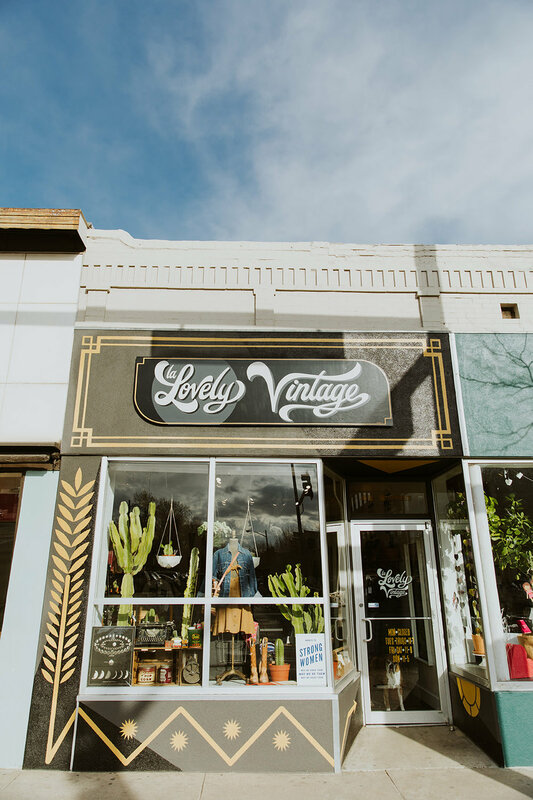 Located in the Baker District of Denver, La Lovely Vintage's brick & mortar location has been bringing customers a fun and unique shopping experience in Denver since 2011. Showcasing vintage clothing and home goods from the 1920's - 1990's, these beautiful items are consumer conscious, locally sourced, and well made. Come in and treat yourself! Lucy is a 1957 Shasta Trailer. Tara found her, and with the help of the community, restored her to her happy shiny shelf! Stocked full of hand curated clothes, home goods, and treasures, Lucy is happy touring all over Denver, and looks forward to seeing you and her next event. Interested hosting Lucy at your event? Fill out the Contact form at the bottom of this page!! Enjoy all that La Lovely has to offer by joining us for a relaxing evening at our succulent workshop and go home with a mini garden you can enjoy all year long! La Lovely Vintage’s design team can also design your space, provide wardrobe and/or prop styling! For more information on La Lovely Vintage & our products or to inquire about our vintage rentals, styling and design services please fill out a contact form below. We look forward to hearing from you!